With the warmer weather and longer days, not only does it mark the beginning of spring but also the upcoming busy summer moving season. 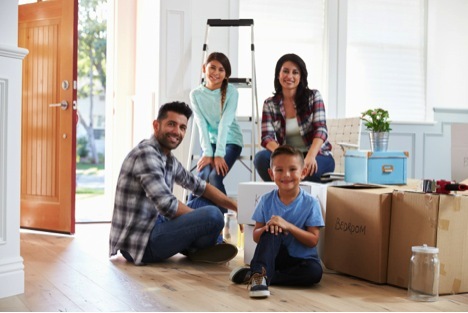 Summertime is when the vast majority of people move across town and long distance with help from professional moving and storage companies. The kids do not have to miss any school time. It is easier to move with kids during the summer since they can help with packing and unpacking. You can use part of your paid summer vacation time at work to move. Most leases and rental agreements start and end in August or September. University and college students move out of dorms and back home in late May/early June. University and college students move into dorms in late August/early September. The real estate market is the busiest in the summer months, with more people buying houses from Memorial Day to Labor Day than at other times of the year. 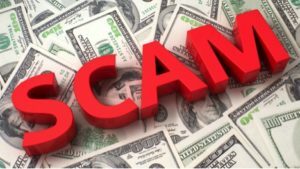 With so many people moving, you need to take extra precautions to ensure you do not fall victim to one or more of the many different types of moving company scams out there. There are all different types of scheme scammers will come up with in hopes of getting your money and your belongings. Sadly, there have been cases where some people have ended up arriving at their new home, and the movers never show up with their belongings … ever. Requests you sign a blank contract/quote. The so-called residential moving company will give you an estimate verbally, and then ask you to sign a contract they will fill out later. If you sign it, the mover could write anything in they want, including jacking up the price of the move. Always make sure to get everything in writing first. Before signing any quote or contract, read through it completely, including the fine print. Only provides a quote over the phone. Reputable residential movers may initially be able to provide you a “ballpark” figure but will always follow up with a detailed home inspection to provide an accurate quote. Scammers, on the other hand, will only provide the moving quote over the phone. On moving day, when the movers arrive, they will then increase the price because you do not have a signed quote and contract. At this point, you are sort of stuck either paying their exorbitant fees or attempting to find a trustworthy mover at the last minute. Changes the moving costs after items are loaded onto their truck. Unless you hire an experienced residential mover, you could be the victim of this nasty trick. The movers load all of your items onto their truck and leave to head toward your new home. You also leave and, on the way there, you get a phone call saying the costs have gone up for the move. They may try to use an excuse like your items are heavier than originally estimated or some other reasoning. In fact, what they are doing is holding your property hostage, knowing you will pay just to get the stuff unloaded into your new home. Adds on delivery charges and fees for every little thing possible. The mover will add a floor fee if they have to carry items above or below the ground floor. Some movers will charge a floor fee for each additional floor. If you live on the 20th floor of a high-rise condo, they will tack the fee on 19 times! The mover will charge you more if they do not have easy access to your home or building, like if there is a narrow driveway or alleyway. They will say they had to get a different driver that cost them more, so there is a driver’s fee. They will say the move took longer than estimated, so you owe an added time fee. They will say they are providing an additional mover, so there is an added mover fee. Requests you pay a cash deposit up front. If the mover asks for a cash deposit before they will schedule your move, do not do it. Ask the mover to leave your home or, if you are at their office, run quickly! Chances are, with this type of scam, the mover will take your cash and then never show up on moving day. Or they will call you before they are supposed to arrive and say rates have gone up, so now you must pay much more or else they cannot complete your move. Requests you pay them upon arrival in full. This scam results in the mover ending up not only with your property but also your money. Now they are free to hold your items for as long as they want. If you are lucky, they will, at the least, say they want more money to unload the truck. If you are really unfortunate, the truck may never arrive at your new home. Instead, the mover could put all of your items into a storage unit, then go hit up another unsuspecting person. Once they have done this several times, they disappear into the night with your money and, potentially, your property. Getting your property back can be a headache and hassle. If they merely dumped it into a storage unit, then you are often burdened with paying the storage facility fees to get access to your items. There can also be added legal costs, along with hiring a reputable residential mover to move the items from storage to your home. Experienced moving companies will never request you pay anything up front. This is why they have you sign a written contract. Once the truck has been fully unloaded and everything is to your satisfaction, then they will request payment. Ask for references. Reliable movers will be more than happy to provide a list of references from past customers. Ask for a copy of the mover’s license and insurance. Reputable movers should supply this without any hesitations or excuses. Read online reviews for the moving company. Online reviews are a great resource to learn more about the moving company and their movers. Verify the moving company has a physical address. Trustworthy movers will have a physical address location. Ask the mover how many years they have been in business. Movers than have been around for quite some time will have built a reputation for providing quality and trustworthy service. Check the mover’s rating with the Better Business Bureau. The mover should not have any outstanding complaints against them. Verify the mover offers optional moving insurance. By law, all licensed and insured movers must offer optional moving insurance. Require the mover to provide an itemized list of all charges and fees on your quote. Reputable movers will break down all charges and even put into writing any conditions which could affect the total quoted price upfront. In addition to these tips, it is highly recommended to start looking for a trustworthy moving and storage company as soon as you know you will be moving. The further in advance you can schedule your move, the less likely you will fall victim to a moving scam. To request a free quote for local and long distance residential moving in the Greater Chicago Area, please feel free to contact the proud movers of the Chicago Cubs, Midway Moving & Storage, at (773) 588-7000 today!